Full results have been posted for the RTB 1 Day Singles event held August 5, 2017, at Bowling Green Sports Center. Click here to view these results in PDF format. 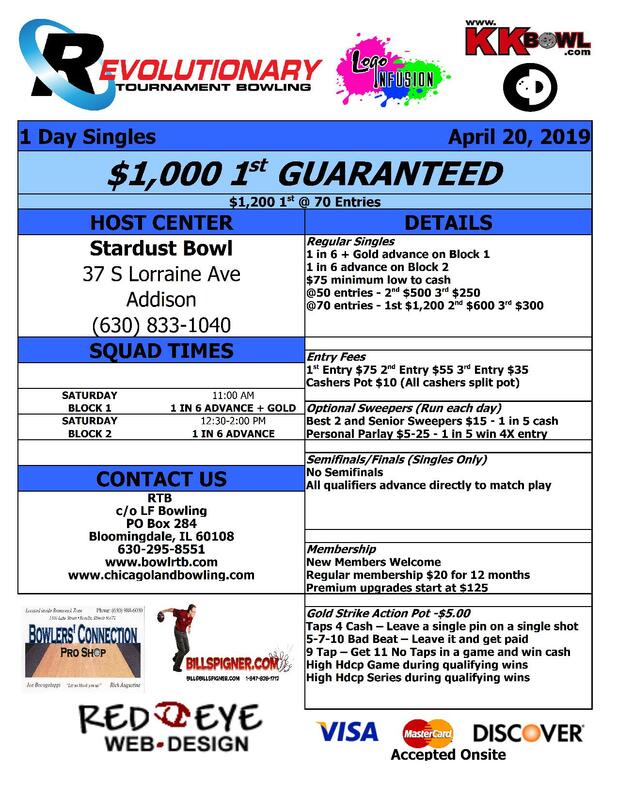 Full results have been posted for the Regular Singles event held Feb. 11-12, 2017, at Bowling Green Sports Center. Click here to view these results in PDF format. Full results have been posted for the RTB Regular Singles event held Oct. 15-16, 2016, at Bowling Green Sports Center. Click here to view these results in PDF format. 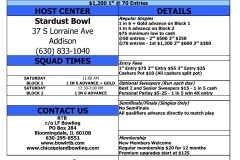 At the RTB event hosted by Bowling Green Sports Center there were 54 main event and entries and 46 optional sweeper entries and $4,014 was paid out in prize money and optionals. Congratulations to Devin Knabenbauer (267) who topped Bill Krutz (218) and Ken Wright (204) to win $1,250 and has captured back-to-back titles. Floyd Speck won the Bowlers Connection Pro Shop ball raffle. He opened the Ebonite Mission Unknown and got the black ball. Jennie Marack won the entry raffle.